Work Search Engine Optimization, Search Engine Marketing, Social Media Marketing, Social Media Optimization. 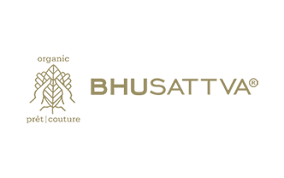 Bhusattva is an organic certified fashion brand owned by Rising Tradelink Limited (RTLL) and has become an unprecedented name in ethically produced clothing. Based out of Ahmedabad, the brand attempts to breaks fashion stereotypes by producing clothing that is both organic yet premium. Bhusattva caters to a very niche audience; in relation to the masses, the brand is not as popular as bigger brands such as Fab India. Our communication strategy was to converse and connect with the affluent class, thereby leading to conversions. We also engaged with the aspirational target audience to generate brand awareness, by communication organic fashion as a necessary indulgence. We increased site visits from 4,000 to over 40,000 quality visits. The brand awareness rose exponentially.